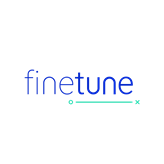 FineTune is seeking a Tech Project Manager who has launched multiple b2b or b2c software products and is comfortable being a scrum master for 30 engineers divided into 5 squads. The candidate should also have significant agile software development experience in customer facing roles and been a software engineer for at least 5 years delivering multiple production quality software and who has also worked with software teams to remove inefficiencies, confusion and implemented efficient agile processes. The candidate should be very comfortable creating project plans, estimating delivery plans, uncovering uncertainties, dissecting future epics to stories and to working with product owners to continuously groom and refine the stories while working with developers to break them down into sub tasks. We would prefer someone who has deployed applications to AWS (or any public cloud) with experience in infrastructure scaling, monitoring, python, sql optimization, docker, database performance, operations and microservices. S/he must have experience working with at least 3 production released software projects/products. S/he would be helping our product owner write stories that are geared technically friendly to developers, communicate requirements to all devs, make sure acceptance criteria are met before staging for acceptance review and also be able to break down complex stories into smaller technical sub tasks, comfortable identifying data inconsistencies while being able to run existing automated tests or do manual QA to make sure software team builds new and existing services according to customer expectations. S/he should also be comfortable interacting with customer, managing releases, labels, workflows in JIRA, pulling reports and analytics from JIRA to and provide guidance on team performance and velocity. S/he should also be comfortable assessing technical feasibility and scope of engineering/rearchitecting needed to solve problems and deliver features. Tech Project Manager will work with 30 people engineering and QA team to find best ways to increase to enhance software quality and development speed. S/he will need to quickly get a sense for each developer's capabilities and expertise and be able to help allocate stories/tasks while facilitating knowledge sharing so that people are all on the same page in architecture, feature priorities, dependencies and integration plans. S/he will interface with VP of Engineering to continuously drive team performance, maintaining updated requirements, high quality JIRA stories, while also helping with architecture, scalability, automation, innovation and new product development while promoting and advancing modularization of current platform we are working on with Collegeboard. We are working on variety of projects from componentizing and enhancing front end reactjs to optimizing user experience and reusability of components. We are constantly collecting data on users to help recommend better resources for their learning. We build interesting but simple dashboards that may help teachers become more data driven. We work on behavioral experiments via randomized control trial through our software. Our backend is mostly python/sqlalchemy and supports graphql and diverse set of databases depending on the application. Continuous integration and continuous deployment are next in our pipeline. We are facing challenges in scalability and automation which we plan to tackle in 2018 and refactor code to increase the software performance and support 5 million users in 2019 in partnership with Collegeboard. We work with our design team to make this experience engaging for effective learning. We practice agile and scrum and strive to continuously improve.